Detroit grew rich and fat on the one-person, one-car ethos of the American Dream. But new technologies for driving won’t just change how we get from A to B — they’ll also change how we pay for transportation. At least, that’s according to Cadillac president Johan de Nysschen. 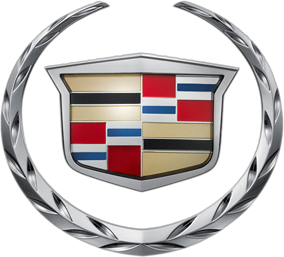 As the, well, Cadillac of General Motors’ lineup of brands, Cadillac will lead GM’s entry in the self-driving car wars, de Nysschen said. That will involve the car company’s Super Cruise technology, recently acquired for $1 billion. But Super Cruise isn’t just about making long commutes and bumper-to-bumper traffic less annoying. It’s also about turning car ownership upside down. And GM plans to make money on transportation, even if the personal car of the future isn’t a personal car at all. Car ownership in cities is problematic. Traffic is congested, parking is full, and even keeping a car garaged near your home can cost $300-400 each month in places like New York. Uber has filled the gap for many, as has a company in which General Motors has a $500 million strategic investment: Lyft. Above: A driver displays Uber and Lyft ride sharing signs in his car windscreen in Santa Monica, California, May 23, 2016. Each Lyft driver needs a car, de Nysschen reasons. And while the conventional model of buying and owning a car will continue for some, a combination of public transit, paid next-generation taxi services, and car-sharing services like Zipcar will be the reality for others. Not shockingly, GM wants to be relevant in those conversations. And self-driving technology is a huge part of making both Lyft and Zipcar-like services cheaper, more convenient, and more efficient. Increasing efficiency opens space for services — and revenue. Make no mistake: GM wants to continue selling cars to each individual who wants to own one. But the company is also investing in a future in which fewer and fewer of us decide to take that route. Toward that end, technologies like self-driving cars that communicate with each other can seamlessly blend individual mobility into a mass transport system.